Think all the hullaballoo about Global Warming is mostly hype? So doesn't Michael Crichton. Four years before alternate theories were allowed in the press (2007 is proving to be a watershed year for anti-global warming proponents), Crichton investigated the powers behind the Global Warming movement. What he discovered was science that didn't quite add up, ignorance in the press (who often quote press releases without properly sourcing the material), and vast amounts of money moving in circles of power within environmental organizations. Most of this won't come as a shock to disinterested parties, but for some people this will either be revelatory or propaganda maligning their pet cause.For Crichton, it was the stuff that novels are made of. Mingle intrigue, secret cabals, fear mongering, and violent environmental groups desperately in need for continued funding and you have the makings for an international thriller. 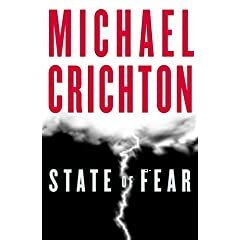 "State of Fear" follows the classic Crichton pattern of peppering the reader with a pastiche of characters whose lives eventually converge as they first deal with the repercussions of fighting the powers that be, then actively fight against them. Mostly, though, this is a stab at the heart of enviro fear mongering in the press. For example, the main character of sorts, Peter Evans, is a Global Warming fanboy who spouts the "facts" dutifully and disputes real information with devout aplomb. However, Crichton's biting contempt for the Hollywood elite and environmental fear mongers reveals information that soon begins to unravel Evan's world with a steady stream of creeping doubt, then full fledge realization: Global Warming is a scam and the environmental groups will kill you to keep it a secret. However, would fund raisers really kill people over the fact that they need to raise funds? Something more would have to be at stake. Therefore the premise for eco-evil is revealed: To really raise a lot of money Global Warming needs to be pushed into the public conscience by the helping hand of a few properly timed high tech catastrophes. I found the book fascinating and rather enjoyed all the charts and footnotes. I can't say I enjoy Crichton's characters, however. Most were crass and unredeeming. Some changed personalities inconsistently. Others I simply didn't like. Peter Evans, for example, was a whiney little wuss of a man who I never cared for whether his life was in peril or not. I also found the depiction of the environmentalists' antics as the villains a bit cartoonish in the end. Overall, however, I found the story a cautionary "What if" fable which made me rethink some of the Global Warming truths I had accepted and reinforced many ideas I had formed on my own. Above all I enjoyed the "Author's Message" in the back. I found many of Crichton's opinions salient and convincing. Why you should read this book: You are a Michael Crichton fan, enjoy political intrigue, or are sick and tired of Global Warming alarmism being crammed down your throat. There is also a vast sum of factual and verifiable footnotes littered throughout the book that might entertain footnotaphiles. You're probably not going to get anywhere quoting facts out of a fiction novel during the next Global Warming Rumble, but it might warm your heart to dig into the footnoted sources and think, "I thought all this Global Warming stuff sounded exaggerated." Why you shouldn't read this book: You are a card carrying member of the Global Warming Brigade and you can't abide anybody questioning your cause. You're just not going to like the book if you buy everything you read in the press about Global Warming hook, line, and buoy. If the 3mm rise in sea level gets you in a Noah-sized panic, you aren't going to enjoy the chapter dedicated to debunking sea level rise. If you think all environmental groups are saintly and uninterested in tawdry details like funding their administrative costs, you aren't going to agree with Crichton's premise for why eco-terrorists might try to drown hundreds of campers using wires attached to bottle rockets. If you support Hollywood stars and politicians as they pay enormous private jet fuel bills to lecture at college campuses about the evils of CO2 (something plants use to produce oxygen, by the way), you're likely to throw the book at a wall, stamp on it a few times, and declare Crichton an obvious agent of the Bush Big Oil Cabal. I can't emphasize enough how much a Global Warming proponent is going to despise this book, especially those without a sense of humor. 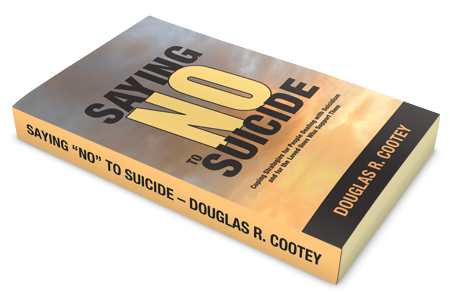 There is one other aspect of this book that might turn you off. If you don't enjoy reading the F word then you aren't going to enjoy this book. Crichton's characters can become quite foul mouthed at times and I found the sporadic bursts of F wordiness distracting and distasteful. AD/HD Friendly? Probably not. Crichton likes to stipple his events across the entire canvas within a timeline that is known only to him. Only at the end will the events converge into a single narrative. Just as you begin to identify with one set of characters the next chapter will fling you across the continent or world to another bunch of characters. I find reading books like this taxing for my attention span, but I have learned to keep my focus, especially if I am enjoying the subject matter. Others may not enjoy this style of writing. Am I going to take heat for liking this book? Most likely. But be warned. I've got lots of charts and footnotes I can beat you down with now. Mwahahaha. In all seriousness, however, my feelings on the subject are that much of global warming is brought about by natural occurrences (I lean more toward solar cycles and the effect of ocean currents as being the grand cause for climate change), and that "global warming" per se is nothing more than a repeated cycle our beautiful Earth goes through. I remember the outcry in the press and in school back in the early 70's about the oncoming Ice Age due to Global Cooling. I also remember press hysteria about killer bees and Y2K as well. I have long since distrusted any source of news that depends on ratings to fund it. I also feel that the debate on Global Warming is highly political not scientific, and that I would like to see less effort by the press to scare me for ratings and more effort by so called environmentalists to push for practical change. The Kyoto Protocol is a political joke. None of the finger waggers from other countries have been able to meet it's unrealistic deadlines (for example, Canada). Encouraging fluorescent lightbulb usage is a good step. Ethanol is a bad step (anything that raises the prices of food is not friendly to the poor). I'd like to see Global Warming protesters cry as loudly for more recycled material in milk cartons, cereal boxes, and fast food packaging as they do for Bush's impeachment, however. I'd also like to remind people that this is a book review for a work of fiction on a cheeky little blog, so you should take that into consideration before opening fire.